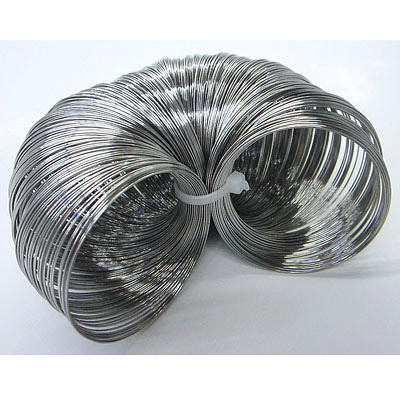 Memory wire bracelet, 8oz, .62mm wire thickness, 4.4-5.7cm coil diameter, approx 75 coils per oz, stainless steel. (SKU# MW21458/SS). Sold individually. German wire, medium temper, round, 22 gauge, antique brass color, 10 meters. (SKU# TTPK22R/OXBR). Sold individually. 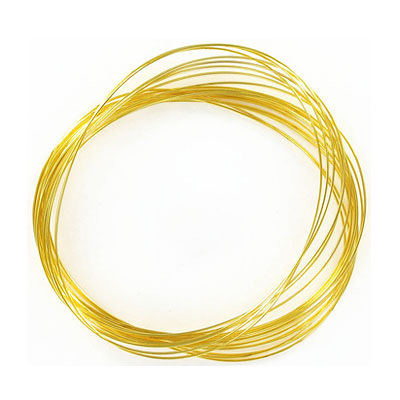 Memory wire, 0.35oz, large oval, gold plate. (SKU# MW2145OVL/GL). Sold individually. 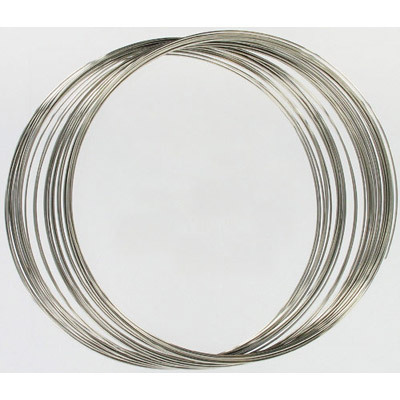 Memory wire, large bracelet, round, 0.036 inch (0.91mm), heavy duty gauge, 1oz, approx 33 loops per oz, stainless steel. (SKU# MW2145LHD/SS). Sold individually. 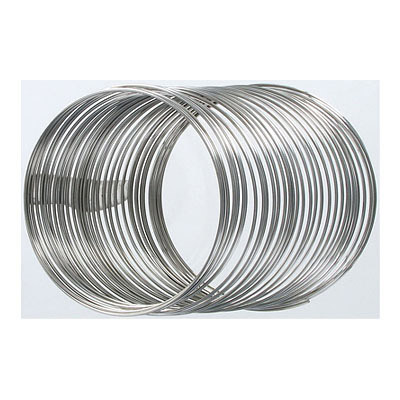 Memory wire large bracelet, 8oz, .62mm wire thickness, 5.7-6.7cm coil diameter, approx 60 coils per oz, stainless steel. (SKU# MW2145L8/SS). Sold individually. 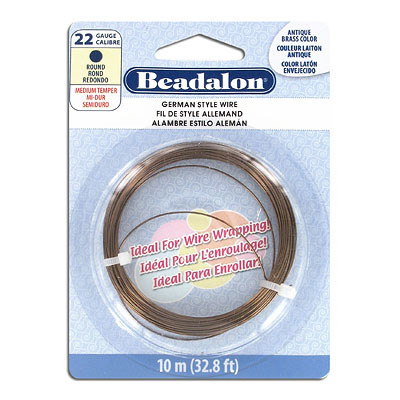 Beadalon memory wire, 1/2 oz, large, gold plate. (SKU# MW2145L/GL). Sold individually. Beadalon memory wire necklace, 28.3g (1oz), approx. 31 loops, extra large, nickel, stainless steel. Grade 304L. (SKU# MW375XL/SS). Sold individually. Beadalon memory wire bracelet, extra large, 1oz, .62mm wire thickness, 6.7-7.9cm coil diameter, approx 52 coils, stainless steel. (SKU# MW2145XL/SS). Sold individually. 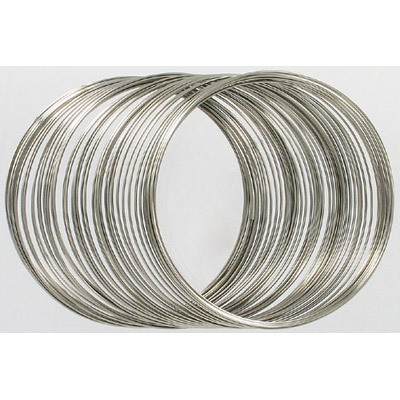 Beadalon memory wire ring 28.3g (1 oz) (approx 195 loops), stainless steel. Grade 304L. (SKU# MW75/SS). Sold individually. Beadalon memory wire necklace large 28.3g (1 oz) (approx 36 loops), stainless steel. Grade 304L. (SKU# MW375L/SS). Sold individually. Beadalon memory wire necklace 28.3g (1 oz) (approx 36 loops), stainless steel. Grade 304L. (SKU# MW375/SS). Sold individually. 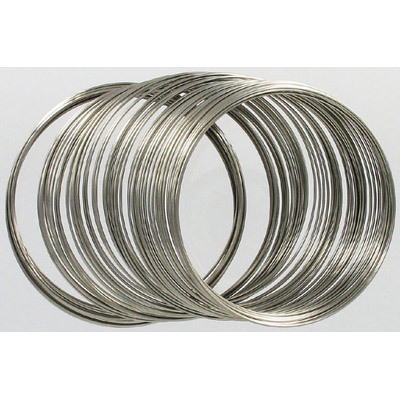 Beadalon memory wire bracelet large, 1oz, .62mm wire thickness, 5.7-6.7cm coil diameter, approx 60 coils, stainless steel. (SKU# MW2145L/SS). Sold individually. 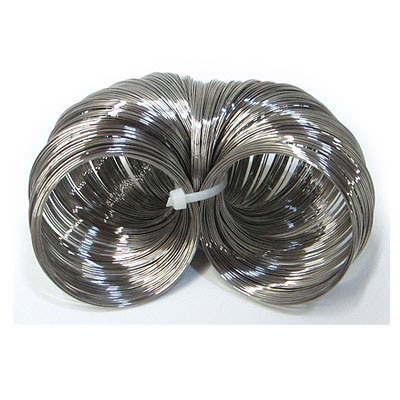 Beadalon memory wire bracelet, 1oz, .62mm wire thickness, 4.4-5.7cm coil diameter, approx 75 coils, stainless steel. (SKU# MW2145/SS). Sold individually. Beadalon memory wire cutter. 12.7cm (5") long. (SKU# JTMEM). Sold individually.